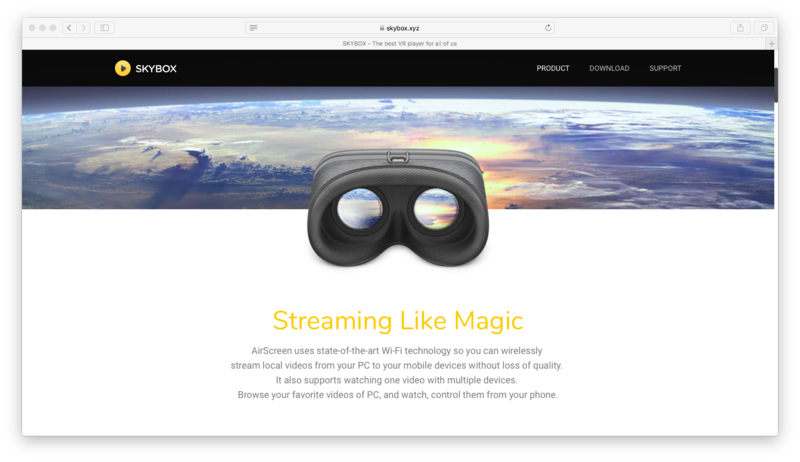 Skybox.xyz is a streaming software for both Mac and PC, which allows you to stream both 2D and 3D video content directly to several of the most popular VR devices including Gear VR, Google’s Cardboard, HTC Vive, and the Oculus Rift, as well as some mobile phones. Skybox organizes these videos in an attractive dashboard, allowing you to select videos with ease. The best part of Skybox is that you can stream 4K videos over WiFi without any loss in video quality or resolution, meaning your videos will be as clear as if you were actually there. No matter what device you have to view virtual reality content, Skybox.xyz makes it easy to stream video for you in crystal clear quality. When it comes to VR video content, Skybox has you covered, from X, to Y, to Z.